By utilizing innovative marketing, strategic negotiating skills, and over 24 years of combined experience, The Graham Smith Team has proudly remained the Number 1 real estate team at the 53rd & Lyndale office of Edina Realty. With their beautiful properties as the focus, the site had to let them shine. 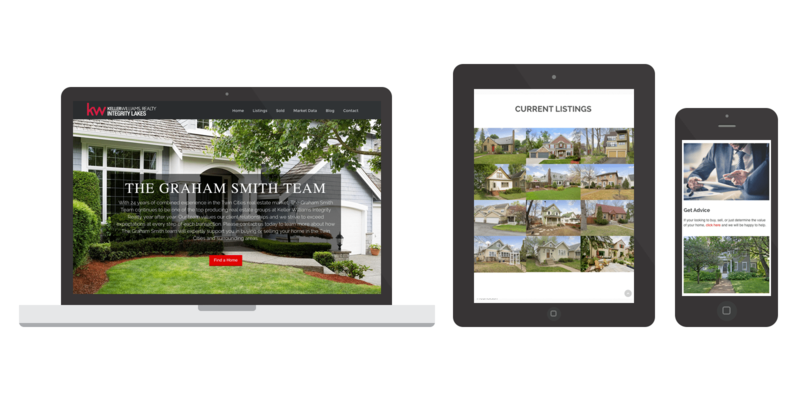 The Graham Smith Team, a premier realtor company in the Twin Cities area, contact Spark Logix Studios to redesign their website. Within their market, they felt that not enough Realtor’s were making use of the impactful visuals that a responsive website could provide. They wanted something beautiful, simple, and easy to update. The Respondo Pro Framework was more than up to the task! Spark Logix Studios worked with the Graham Smith Team, to select some beautiful, professional images of the properties they represent. We then used those image to great effect, creating full width backgrounds to allow the beauty of these properties to shine through. We also created an easy to update portfolio of active listings on the homepage, using a responsive grid layout. All in all, another beautifully responsive website powered by Respondo Pro and Spark Logix Studios!